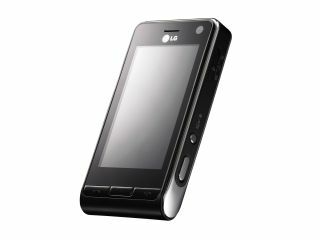 The forthcoming LG U990 touchscreen phone is so good that it has a chance of seriously challenging the Apple iPhone. That's according to Daryl Tott at mobile phone network 3. "The LG U990 is so good," Tott said in an interview with Tech.co.uk, "that it has every chance of giving the iPhone a run for its money". The LG U990 is a stylish touchscreen-controlled phone boasting a 5-megapixel camera and high-speed 3G HSDPA connectivity. It's launching in October, well before the Apple iPhone gets anywhere near British shores. It features a finger-touch-operated 3-inch 400 x 240 pixel, 262k-colour display and a 5-megapixel Schneider Kreuznach lens with manually-controlled digital zoom. The zoom can be adjusted using a dial around the lens. The dial also doubles as a thumbwheel-style control for scrolling through functions if users want an alternative to the touchscreen navigation. The LG touchscreen phone offers a groundbreaking video camera function too, capturing video at 120 frames per second - enabling super slow-motion image playback in top quality. Tott says that the LG U990 is so full of features, he sees no reason why the iPhone would be more desirable. "It's seriously good. Forget about Apple's multi-touch for a second, this LG's touchscreen is fantastic. It's also the little things which make it so good to use. Whenever you press a virtual button on the touchscreen, the phone gives off a very subtle vibration or shudder, to let you know you've registered a key press," he said. It goes without saying that the LG U990 is not as overwhelmingly desirable as the Apple iPhone. But the point being made by 3 is that if you can't afford the large retail price and hefty contract that comes with it, the LG offers all the same features in a different package. Plus it has a vastly superior camera and 3G connectivity too. "We expect this phone to really take off in the same way the Sony Ericsson K800i did last year. These days you don't have to pay astronomic fees to get a cool touchscreen phone, you just have to give the others a chance and you'll be surprised," said Tott.